The spring semester has ended and it's time to air some ideas that have been rattling in my brain for a while. 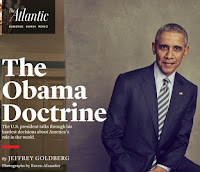 · Obama recognizes that Saudi Arabia is a problematic ally and has taken steps to break the cozy relations it has had with previous administrations. · Obama has, on several occasions, shut down warhawks in his administration, chief among them Susan Rice, Leon Panneta, and Hillary Clinton. This applies also to a lesser degree to John Kerry as well, whom he took to the woodshed for forgetting the lesson he learned in Vietnam. · Obama has told all who encourage him to launch new ventures that it would be a good idea to end the foolish wars Bush undertook before starting new ones! 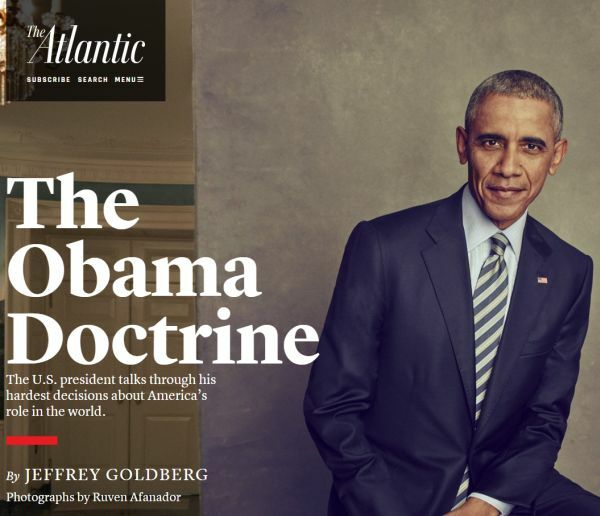 · A big revelation: Obama thinks that we are on the cusp of a post-oil world, that the Middle East of diminishing importance to America, and that we ought to be shifting American priorities toward Asia. · That Syria is of little significance to America, ISIS poses no direct threat to us, and there is little about Syria that would justify US intervention. · That he wants the United States to stop fighting proxy wars for Europe and Japan. There is much more. Read this piece. · Colin Powell was no hero, rather an ambitious flunky willing to spout lines he knew to be false for the sake of personal promotion. · That the media cravenly favored Bush over Gore and Kerry and traded objectivity for "access" to the White House. · That there was systematic program to isolate and marginalize any voice that dared disagreed with predetermined security conclusions. 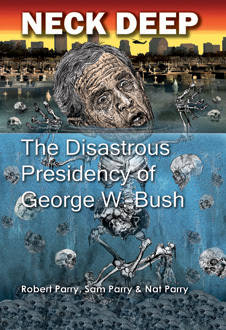 · That Bush was willing to put Valerie Plame in physical danger to punish her husband, whose investigation into an alleged Saddam Hussein dirty weapon scheme determined it wasn't true. · That Bush was a climate change denier. · That Bush had plenty of advance warning about 9/11 but he and his team lacked the skill to interpret the data. · That ideology, not fact, drove most White House decisions. · That the U.S. Constitution was little more than a minor inconvenience in the ruthless pursuit of a national security state. 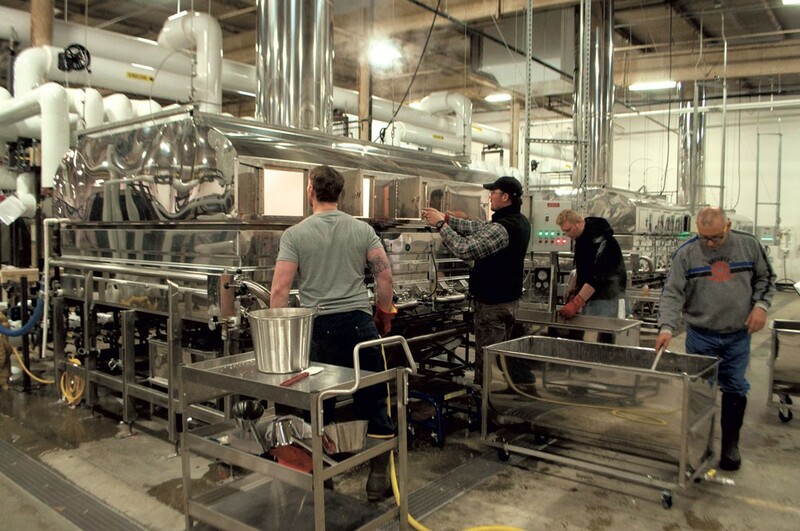 There's a brouhaha boiling in the maple syrup vats of Vermont. 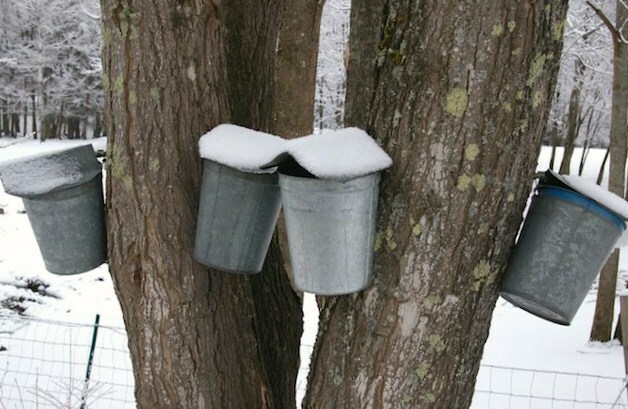 A conglomerate, Sweet Tree Holdings, has jumped into syrup production and moving it toward a mass-production business model. 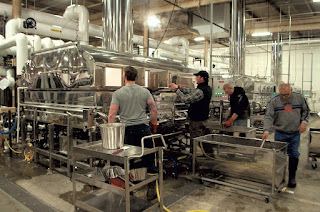 It assures small producers that it will be good for all producers and is no threat—soon we'll have new products (like maple-flavored water), hybrid syrups, and new overseas markets. This comes from a firm that's a holding company spin-off of an insurance firm. Sure—pull the other one; it's got bells on it. If there is a bigger fraud ever perpetuated on American workers than free trade, I wouldn't know what it would be. I heard the same BS when I was a kid and saw Hershey buy or impose its corporate discipline on virtually every dairy in south-central PA. Now a family dairy farm is as rare as US steel mill. Governor Shumlin and Vermont state regulators need to put the kibosh to this disaster-in-making for Vermont's iconic product. Don't bet on it. He's a Democrat, after all–the world's first spineless mammal. 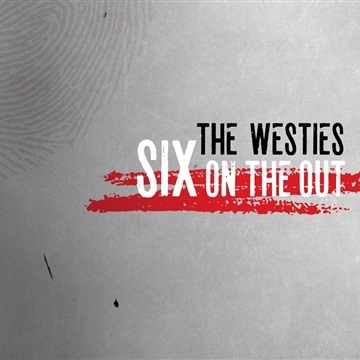 The Westies are quickly becoming one of my favorite rock bands. They're based in New York City, thought you can be forgiven if you guessed they're from West Texas. Six on the Out is a darker album than we heard on their debut West Side Stories and that's saying something. Songwriter, lead vocalist, and linchpin Michael McDermott has a penchant for desperation and desperadoes and they appear in abundance on Six on the Out. Because of McDermott's Irish roots and his tendency to open morose songs with bits of mandolin or bouzouki, The Westies are said to play Celtic-flavored music. You can hear that on songs such as "The Gang's All Here," where the featured neighborhood cast of characters could be straight off an ill-tempered Irish pirate ship, but a song like "If I Had a Gun" is outlaw country dressed up by an atmospheric rock band sporting a few embellishments by fiddler Heather Horton. And as McDermott builds the ominous tension of the song, he spits out the vocals of lines like "The hunger fuels my soul/The anger fuels my heart/I'm tired of being pushed around/I can't seem to break free/If I had a gun/I might point it back at me" as if he's a whiskey-soaked Bono. Mainly, though, he reminds me of Bruce Springsteen with a huskier voice. Check him out on "Pauper's Sky" or "Santa Fe" and you'll hear the same sort of leave-it-all-on-the-stage rock and roll for which the Boss is known, which a splash of bar band insouciance thrown in. Horton contributes a touch of optimism when she takes the lead on "Like You Used to Do," but even this little love song has sharp edges—a partner's plea to put aside the anger, the booze, and the disappointments to "love me/Like you used to do." This album is indeed a stroll down dark alleyways—quite a lot of it reminiscent in style to Springsteen's Nebraska release. This album's tales include nods to hookers, ex-cons, future cons, the contrary, and con artists. Among this cast, "Henry McCarty," McDermott's contribution to music's ever-growing Bill the Kid oeuvre, isn't even the most dangerous man in the room. To round off the album, McDermott pours all of his angst into a single song, "Sirens." It's the tragic tale of being orphaned, finding redemption, losing it in a single debauched evening, and just when its antihero thinks it can't get any worse, it does. Maybe my description makes it sound as if this album is the aural equivalent of wallowing in the mud along Hooligan Highway. It's not. Six on the Out instead has the therapeutic feel of working out anxiety and despair on a sweaty stage instead of an antiseptic social worker's couch. It is raw, honest, and filled with energy and verve. Besides, good rock of all varieties (folk, country, electric, etc.) is supposed to move your soul. If all you want is nostrums, any old sugary pop song will do; this album's sweetness and redemption come with pricks from the razor's edge.